Get at at home pizza dinner kit and a package of sliders (small burgers). Toss the dough into a normal circular pizza, and bunch up the crust. Then apply your toppings. Next place the sliders into and around the crust. 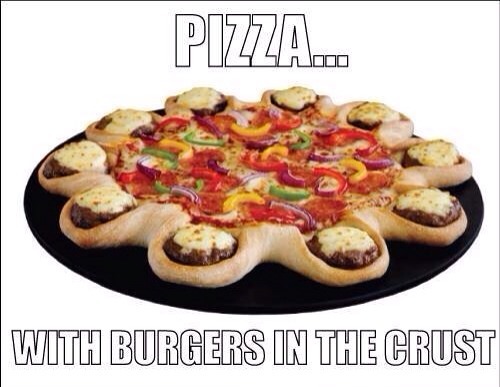 The mini burgers will cook through in the same time the pizza will cook.